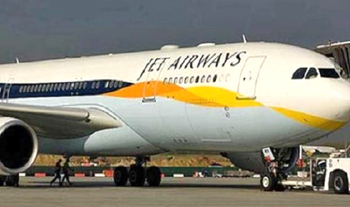 The airlines has cancelled all its international flights and in the process, the Bengaluru-Amsterdam Jet Airways flight — the last international service offered by the airlines from Kempegowda International Airport (KIA) in Bengaluru has also been declared cancelled till April 15, as per the schedule published by carrier late on Friday. A total of nine services each to and from Mumbai and three services each to and from Delhi have been cancelled as of April 12. As per the list of services, the airlines stated it will operate 53 domestic services to and from Mumbai and Delhi airports between April 13 and 15. The currently operational routes connect Mumbai to Delhi, Chandigarh and Amritsar and Delhi to Mumbai, Dehradun, Chandigarh, Jodhpur, Jaipur, Indore, Amritsar and Bhopal and vise versa. “Due to operational reasons, our flight schedule has been impacted. We realise this has affected your travel plans and truly regret the inconvenience. We would like to assure you that our 24x7 Contact Centre, Social Media and Guest Relations teams are working 24x7 to handle schedule adjustments including offering re-accommodation choices or extending full refunds as applicable,” reads a message posted by the airline on its page. Passengers who had made bookings, both international and domestic, through the airlines have now been left stranded and several of them claimed they haven’t received the refund for the journey, from the airlines or their respective travel agencies.“@jetairways Singapore-Bangalore flight was cancelled and I received the email. Tried contacting JetAirways for refund process, by call, email and social media. Really disappointed by the customer service. Please get back ASAP (sic),” tweeted Varsha Kulkarni, a passenger, on March 21.